Hi all! 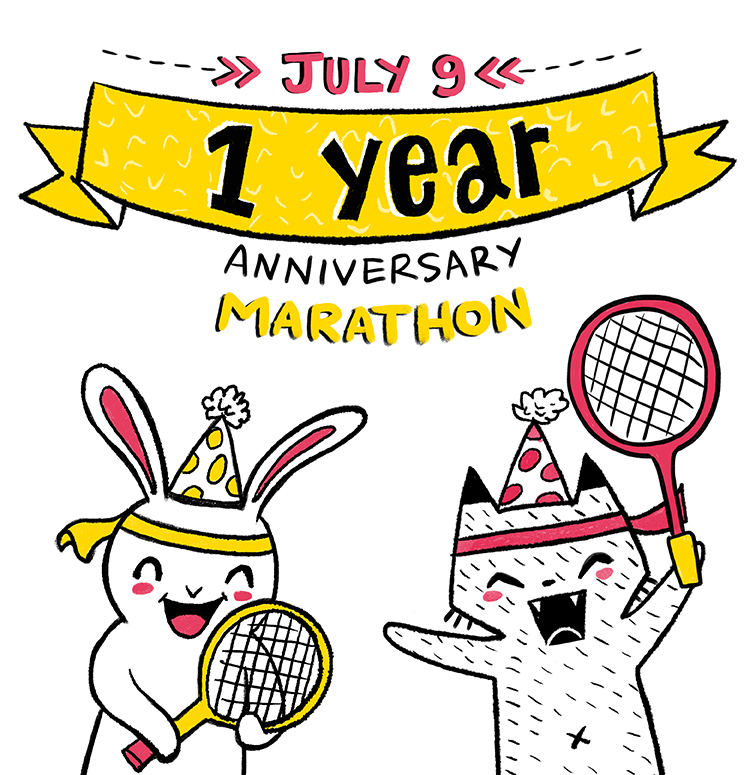 So, on July 09 will be one whole year that Kookylane and I have been playing our illustration ping pong game on tumblr. I'm actually running an Urban Sketch event that morning and then I will be heading to her place and spending the night there doing a drawing marathon to celebrate the 1 year. The should be some videos and pictures documenting the event! Follow the Kookyrabbit page to keep up to date! For other news, I finished my third toddler book today, have some more freelance tomorrow and then I just want a day to concentrate on sorting out some illustrations on my Redbubble Store. Right now, am working on my kookyrabbit entry for tonight.